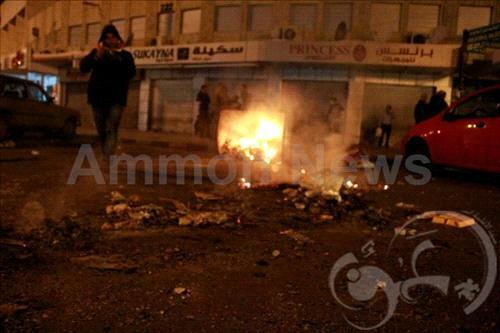 AMMONNEWS - Areas in Jabal al-Hussein in the capital Amman witnessed a complete electric blackout amid riots in the area after gendarmerie and security forces used tear gas and live fire to disperse protesters. 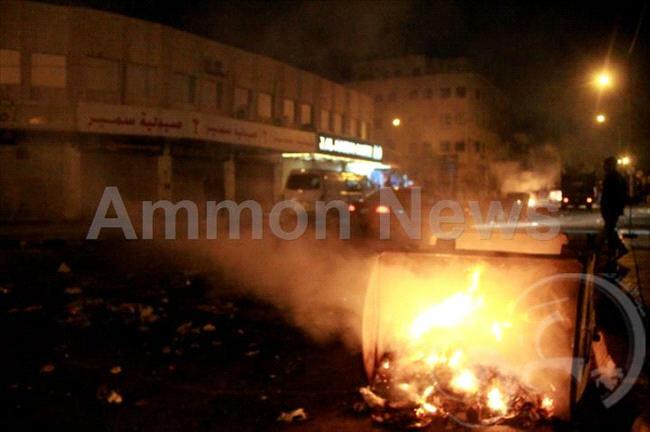 Ammon News correspondent on the ground Mohammad Abu Hmaed reported heavy use of tear gas by security forces, while protesters vandalized a police vehicle and blockaded main roads with burning tires and trash containers. 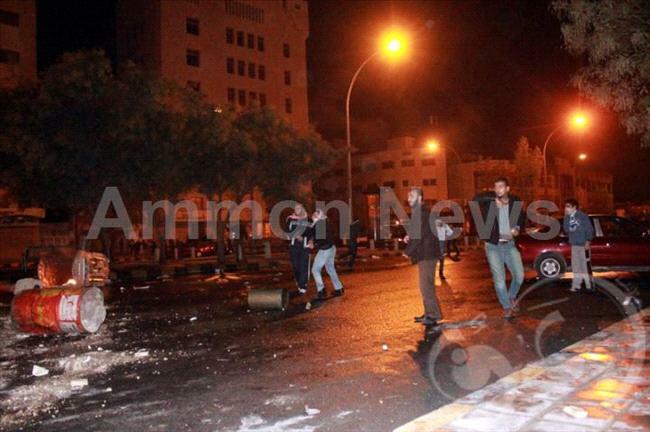 He added that police and gendarmerie forces are clashing with protesters who moved towards Jabal al-Hussein district, and dispersed towards the historic Citadel in the area. Police Thursday afternoon cordoned-off the area of the Interior Ministry Circle (Jamal Abdul Nasser Square) in central Amman after protesters planned to hold an open demonstration Thursday night. 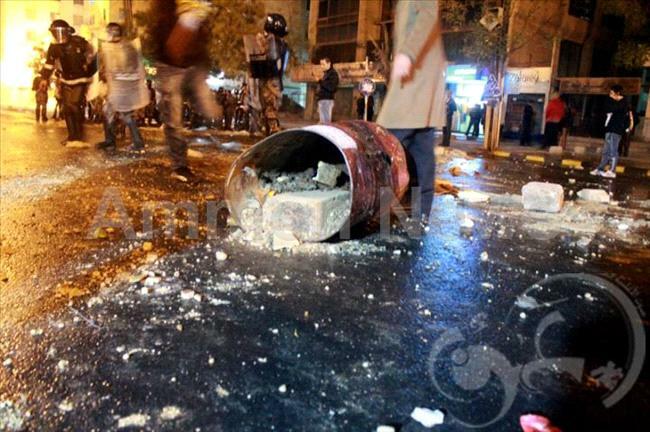 Gendarmerie forces dispersed crowds and prevented protesters from reaching the area, many of whom were coming from Jabal al Hussein, Istiqlal Road, and Hay al-Tafaileh. 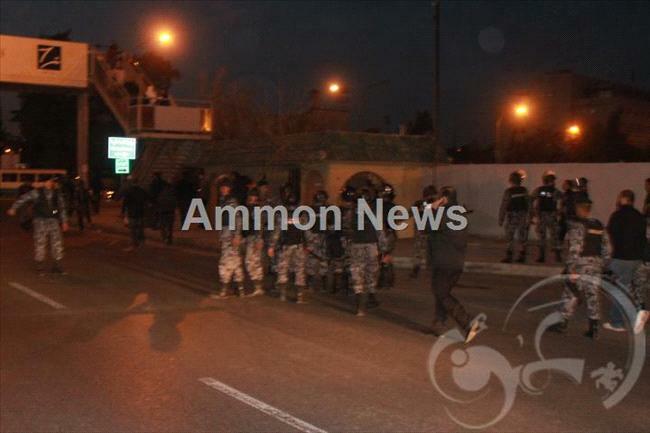 Police arrested several protesters in a security campaign carried out prior to the planned protest at 6 PM. A meeting was held earlier on Wednesday that included youth, popular, and political movements in which they called on citizens to protest at the Interior Ministry circle, and to take to the streets throughout the kingdom in protest of the government's recent decision to lift subsidies on fuel derivatives, causing a major hike in prices.